The destruction of former Yugoslavia and the end of communism in Albania at the end of the Twentieth Century caused mass migrations. Of those tens of thousands immigrated to the UK and they played an important role in organizing the demonstrations in central London where many journalists from around the world heard the voice of the Albanians and saw a real picture of the situation in Kosovo. They were integrated and achieved great success in many areas, notably in business and the arts. Today the Albanian Diaspora has a dilemma: to return home and deal with the lack of basic living conditions or to continue and face the assimilation. Naser Shillova was born in 1967 in a small town near Prishtina, The Republic of Kosovo. Naser has attended many prestigious filmmaking institutions, such as The Moving Image Society, The Panico Studios and Brighton Film School to receive training in many areas of film production, including screenwriting, cinematography and film directing. Naser has contributed in many short films, music videos and adverts and continues to develop his artistic and technical skills in filmmaking. 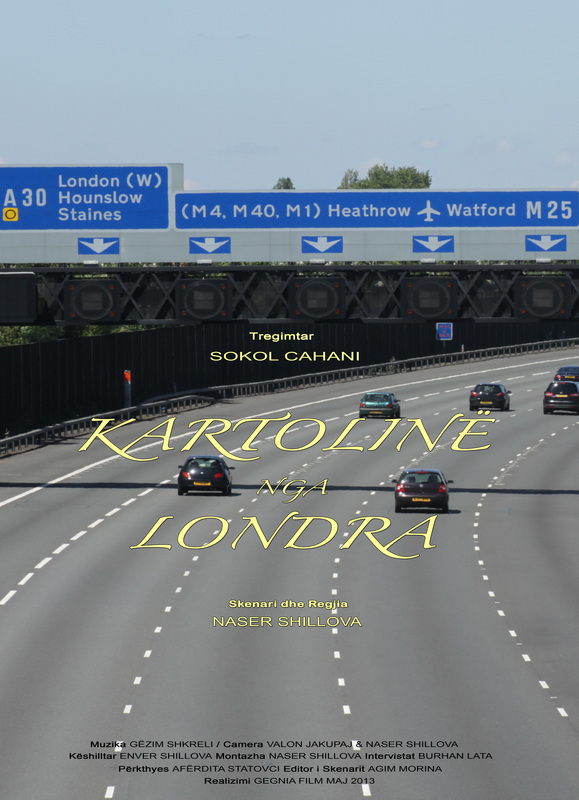 "A Dilemma in London" is a 25 year story of the Albanian immigrants in the United Kingdom. They migrated to UK as a result of the destruction of the former Yugoslavia and the end of the communism in Albania. The number of the Albanian immigrants has increased significantly since the end of the war in 1999. They have played an important role politically and economically supporting families at homeland. Since then the Albanian Diaspora has achieved great success in many areas and some went to succeed in a worldwide stage, such as the Boxing World Champion Kreshnik Qato and the world famous Rita Ora. It has been a journey of pain, sorrow and of happiness for a nation that saw the transition from the dark ages into the age of hope and prosperity. Today the Albanian Diaspora has to make a choice between going back to their homeland or face assimilation. This is the choice that has to be made between the immigrants that were born in Kosovo and Albania and their children that were born in UK. I call this a choice of two homelands. On the 28th November 2012 a new bust of Skanderbeg was unveiled at Bayswater, London, to mark the 100th anniversary of Albania’s independence. The event was held by the Anglo Albanian Association and for the thousands of attendees a day to be remembered.